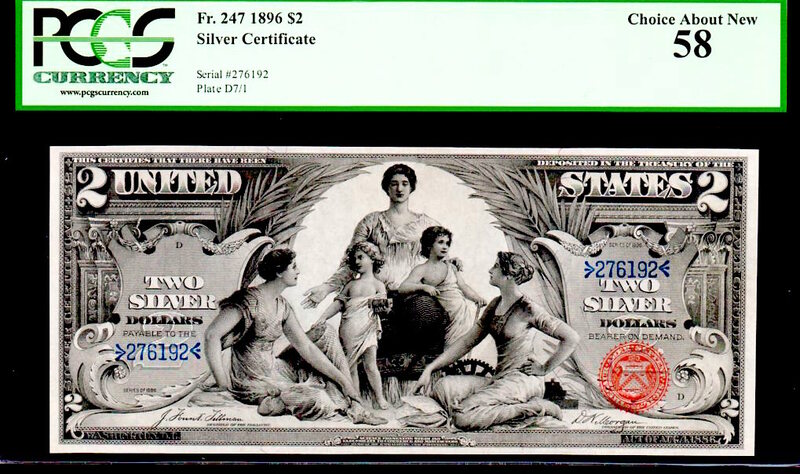 FR 247 $1 EDUCATIONAL 1896 SILVER CERTIFICATE PCGS 58PPQ HUGE EVEN MARGINS! THIS NOTE LOOKS GEM IN EVERY ASPECT!!! YOU CANNOT SEE THE LIGHT CENTER BEND AT ALL! THIS PIECE HAS THE REALLY NICE WHITE PAPER WITH THE GREY UNDERTONES (MANY OF THE 247’s and the FR 248’s HAVE THE “BROWN TINT UNDERTONES), THE GREYS LOOK SO MUCH RICHER! THE SEAL IS CHERRY RED! THE CORNERS ARE RAZOR SHARP AND THE MARGINS MATCH THAT OF AN ULTRA GEM 67!!! (which SELL for $22-$25k! 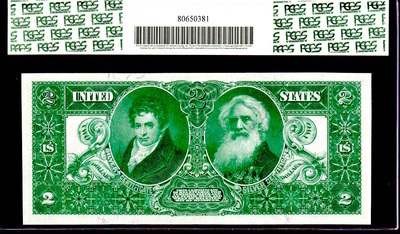 ), IN FACT, I’VE OWNED SEVERAL 67’S (OF EACH DENOMINATION) AND THESE MARGINS RIVAL EVEN THE BEST OF THE 67’S I’VE OWNED! CERTAINLY DESTINED FOR THE FINEST OF COLLECTIONS! 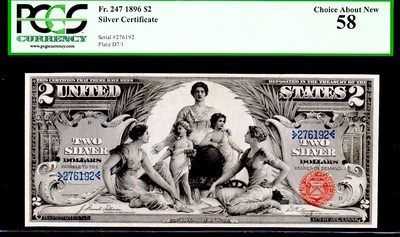 This $2 1896 Silver Cert (EDUCATIONAL) is the Nicest we’ve ever seen (despite the technical grade of 58), the nicest aesthetically! The margins are incredibly balanced and the colors are so beautiful (dark rich inks) contrasting against bright white paper! The note is Unc but has a non-visible upper left corner tip fold that bearly touches into the design, but again, you won’t see it (we owned this piece raw and originally purchased it back about 10 years ago or more). 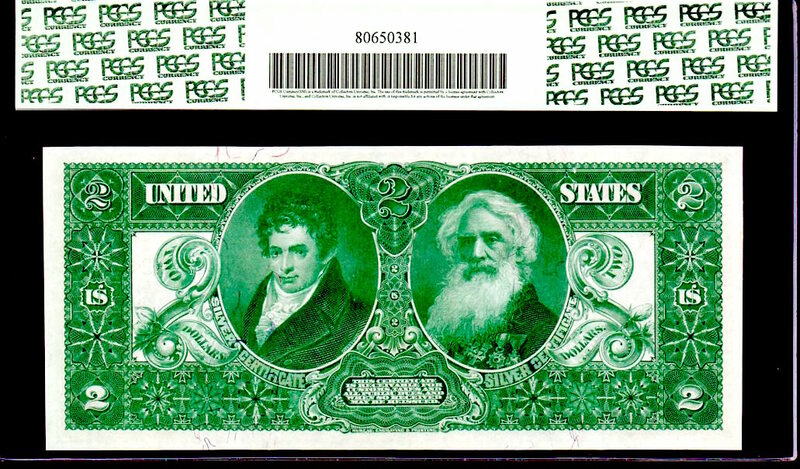 If you really love the design and want a $2 ED in your collection that has the look of a 67 or 68, this is “THE” one!